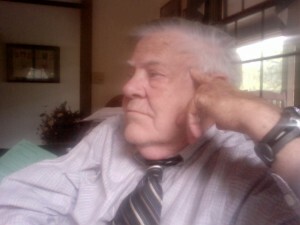 Clyde H. Ray, a retired educator, still teaches History in two community colleges in Western North Carolina. He has a graduate degree from East Tennessee State University, but his completion of work toward a Ph.D. at the University of Tennessee was interrupted by the untimely death of his father in 1976. He has taught in three states in elementary, junior high, senior high schools and on the university level for many years. His first novel Across The Dark River: The Odyssey of the 56th N. C. Infantry in the American Civil War won a state award for Historical Fiction from the North Carolina Society of Historians, Inc. in 1997. He lives in Sylva, N.C. with his wife, Doris. They still own a small family farm in a remote area in the mountains of Western North Carolina that has been in his family for four generations.